Tom Moffat is an Executive Director in the Capital Markets team. Based in Hong Kong, Tom focuses on institutional cross border transactions within Asia. 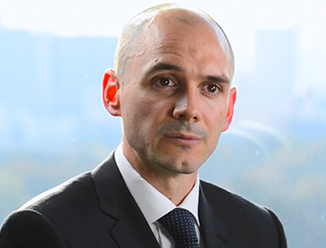 Tom has over fifteen years experience undertaking investment brokerage within Asia Pacific. Prior to joining the Hong Kong team in early 2016, Tom spent 10 years specialising in the Japan market. In this role his key focus was advising international investors on the sale of their Japanese assets. Tom’s main area of expertise is structuring and implementing a competitive sale process. He has sold a range of assets in the office, retail, residential, hotel and logistics sectors, as well development sites. Tom has been involved in some of Tokyo’s most high profile real estate transactions to take place in recent years.